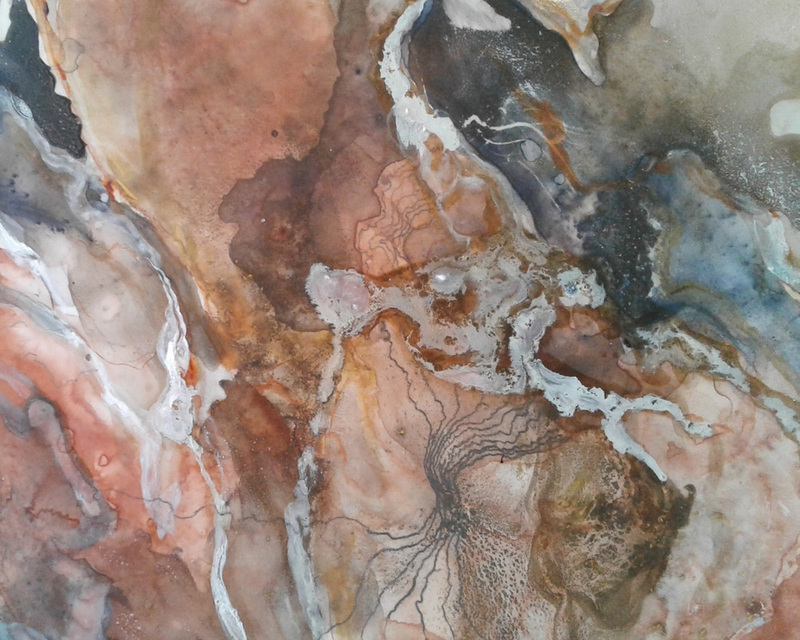 Innate Painting: Investigating the Origins of Artistic Production Through Connections Between Curiosity, Experimentation and Creativity. 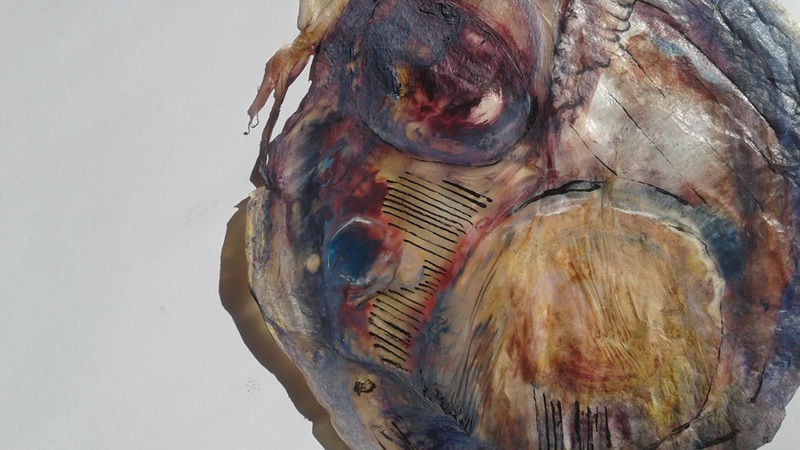 Rather than examining the art making process strictly as a product of cultural constructs, this research project intends to explore the cross-cultural process of art making from a basal, primordial, biological transmissible and evolutionary perspective. In order to tackle such a feat, this project and corresponding research focuses on the origins of creative production from a series of evolutionary traits that I’ve proposed to be instrumental in the art making process: curiosity, experimentation, and creativity. To investigate this concept, the traits themselves, and their roles in the creative process, I’ve chosen to utilize and model a method using grown, microbial cellulose. Microbial cellulose is a form of cellulose (organic matter comprising plant cell walls; thought to be the most abundant organic compound on Earth) that is produced by bacteria. I’ve chosen to pursue this process specifically seeing as microbial cellulose is a compound formed by the origins to all life on this planet: yeast and bacteria. 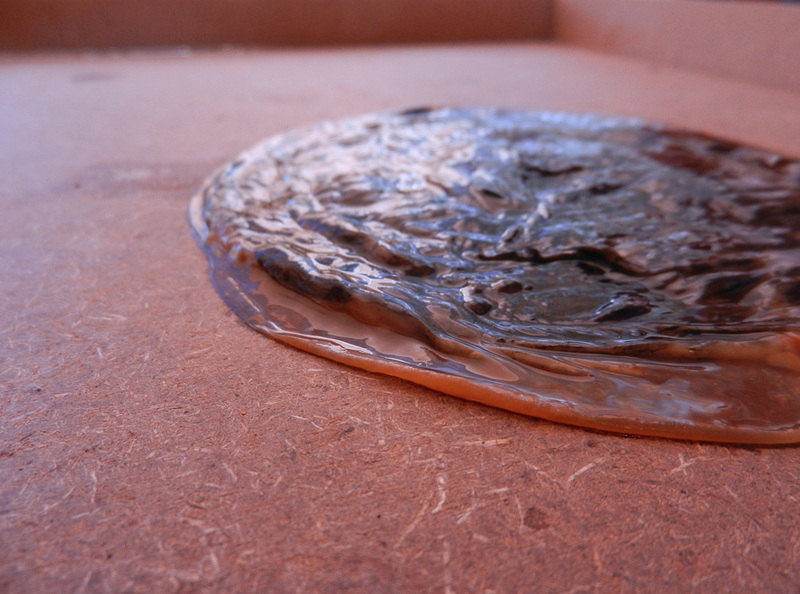 These works are created by growing microbial cellulose over a 2-3 week period. 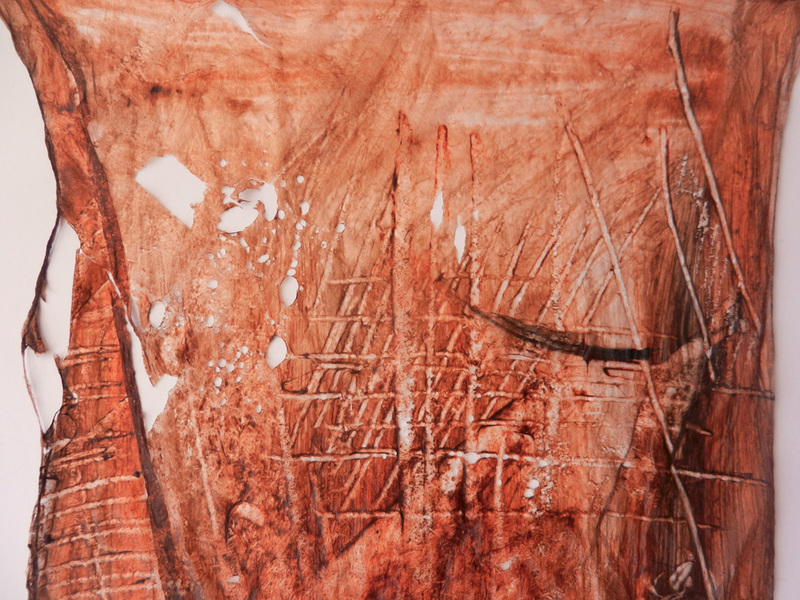 Once a layer of cellulose has formed, I engage with the bio-material using traditional art materials (ink, paint, etc) and expressive mark-making. The material itself symbolizes the primordial stock we evolved from and the growth of the biologically engrained traits we all share as a species that lead us to create. 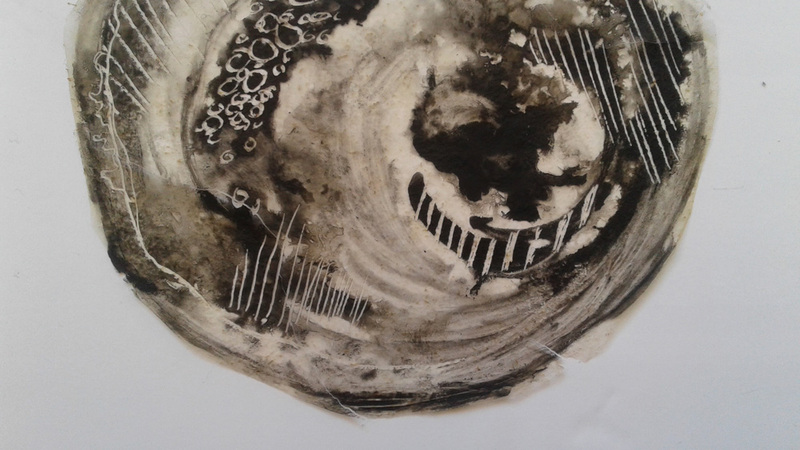 The act of engaging with and marking on this material is evocative of the traits themselves and attempts to examine our evolution and need to corporeally art mark. This project is focused primarily with process and our cross-cultural, instinctual act to mark-make and create art as a species. The end results are not important. 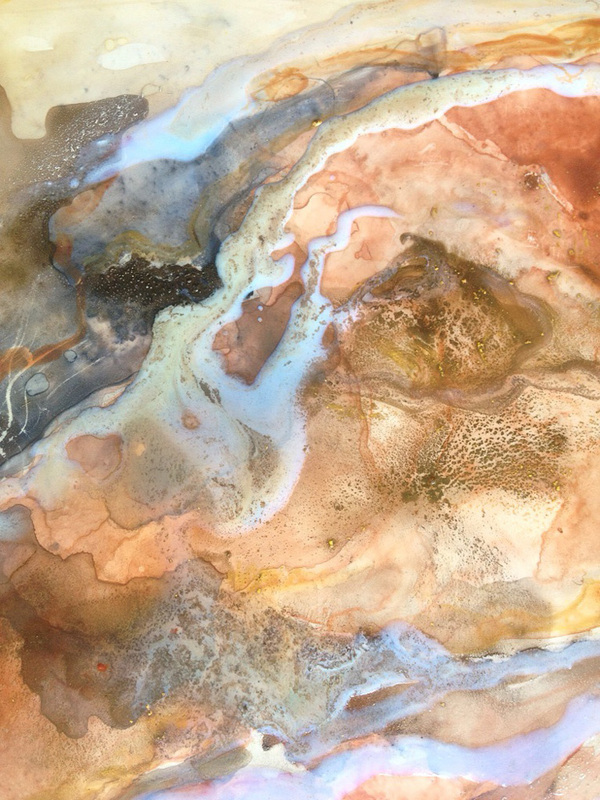 They serve as a history of the process and as a symbol of a biologically engrained, instinctual need to create art and mark make. 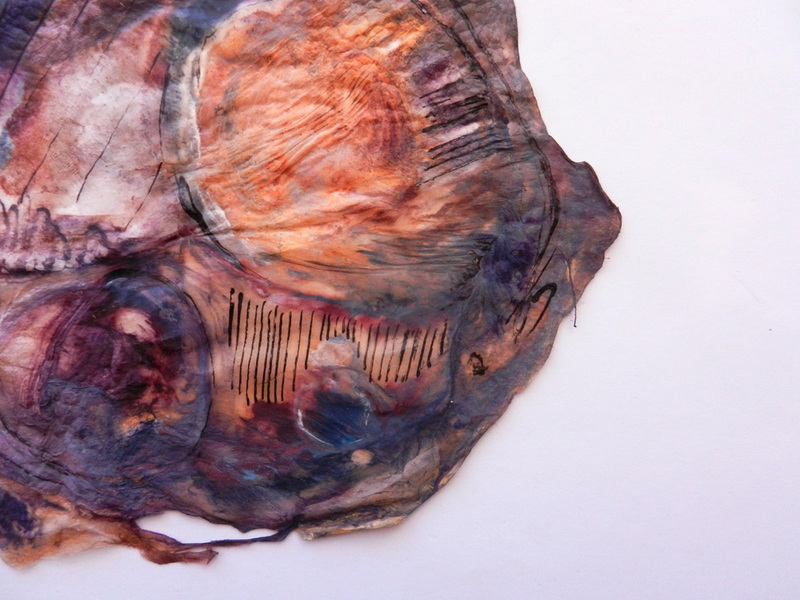 I am continuing to experiment with this material and plan to create large scale works.